How would one attack or lay siege to a flying castle? So we already know that flying creatures are good at attacking castles. But what about a flying castle attacked by ground creatures? Let's say we have ourselves a medium-sized castle built on a driftrock, attached with a heavy chain to the ground 800ft below. For the purposes of this particular edge of the world there exist flying creatures like birds and dragons etc. (and obviously giant flying rocks) but we cannot use/tame/control them. How does one attack / lay siege to such a fortification? We're in a medieval-esque fantasy world, at least as far as technology is concerned. Light use of magic is fine, but minimal handwaving preferable. Let's say the castle has supplies for a year (food, weapons, ...). Obviously therefore no-one there will need to go groundwards. The usual way into the castle is with a crane. Large wicker basket for people and crates for goods. The inhabitants of the castle have access to the bottom of the driftrock. They can open access hatches to shoot, or abseil down the side of the rock. You may not necessarily be safe if you're standing underneath. Let's revisit the premise that the sky-castle has a year's worth of water stored on it. As a corollary to this premise, we should assume that the stored water won't become stagnant or otherwise undrinkable. With minimal bathing and cleaning, just cooking and drinking and basic hygiene, the castle's smelly troopers still require about 5 gallons (16 L) of water each day. That means the castle has over 1750 gallons (6,630 L) of water, weighing 14,500 lbs (6,630 kg) and occupying a bit over 6.6 cubic meters for EACH person defending the castle. So the castle might be a floating fortification - but it's also mostly an enormous water tank. All you need to do is empty the water out of it, one way or another, and then the defenders will capitulate (or die) in a couple days. One way: Reel the castle down a bit, and build vast bonfires under it to cook the water out. When the defenders dump irreplaceable water to quench the fires, then build more bonfires! Most of your besieging army will be collecting firewood and clearing detritus (and dropped sewage), but that's what happens when you besiege a well-stocked flying castle. Another way: Use your trebuchet and arbalest bombardments to crack the castle's cisterns and let their water leak away. Another way: Use kites and balloons (and trained animals if available) to lift flammable cargoes, and dump them on top of the city. The defenders must use their irreplaceable water to fight the fires. Yet another way: If your besieging force is too small to constantly fight water with fire, then simply gird your treasury, discipline your forces, and wait a year for them to get thirsty. We have no information on the climate, culture, or architecture, so no idea how much additional water, if any, can be harvested from rain/snow/fog. Unless 100% can be replenished, it won't make a difference - the siege will merely take longer. From a safe distance, your sappers excavate a tunnel. The tunnel leads to the tether point of the castle's anchor chain. Bring the tether down into the tunnel from below. Winch it along the tunnel. You will winch the castle downwards. Defenders of the sinking castle will see their chain disappearing into a hole. They can rappel down and enter the hole to try to stop what is going on, but your battle badgers are right there. When the castle is on the ground, you may enter by typical methods. If this was a castle that was built to be a floating castle, it may not be fortified in the same way as a land based castle would be. Alternatively, the inhabitants may see fit to surrender as their defenses might all be premised on height advantage. Gain a height advantage. Height is a huge advantage for archery, and I'll bet that the castle's main defense is archers firing down at targets below. They probably can't fire up more than 50-100 feet, and their arrows would have little force even if they could. So you could attack from above using hot-air balloons, dirigibles, or even hang-gliders if there's a convenient mountain to glide down from. As the attacker, you can always go get more arrows when you run out. Wear them down by constant attacks. Turn their advantage against them. Instead of dragging their castle down, as Willk suggests, consider letting them climb a bit. By attaching a new tethered chain to the 2nd link up, and cutting the bottom link, your attackers could let the castle rise up another 800 feet. For maximum effect, wait for a tremendous thunderstorm, then let them up to get a closer view of the weather. (Side note: realistically, the castle would probably be pretty frequently struck by lighting anyway. But let's say it's not high enough, until the attacker lets out the line.) After the storm, send a messenger and threaten to add another thousand feet if they don't surrender. Attack by crane. A good old-fashioned Trojan Horse strategy would be best executed during a rainy day when visibility is low, arrows are inhibited, and it's hard to burn the crane. The first basketload of warriors is disguised as civilians (they don't actually have to be in a wooden horse, just don't let them look like the enemy). They launch a surprise attack when they land (or later, during the night watch?) and, instead of opening a gate, they're seizing control of the crane, defending it while they haul up a second basketful of soldiers. This could make for some exciting action as the tide turns every time another basket arrives. A diversion (such as the aforementioned hot air balloon attack) might draw the defenders away as part of the plan. If there is one flying rock there are other flying rocks as well. Use them as a base for your siege. Balance a flying rock with regular rocks in a way that makes it easy pull the rock down with a significant force. Attach two long chains (longer than the one used by the castle) to the rock, with additional chain reaching ground attached to the holding chain. Place the holding chains on opposite sides of the castle. 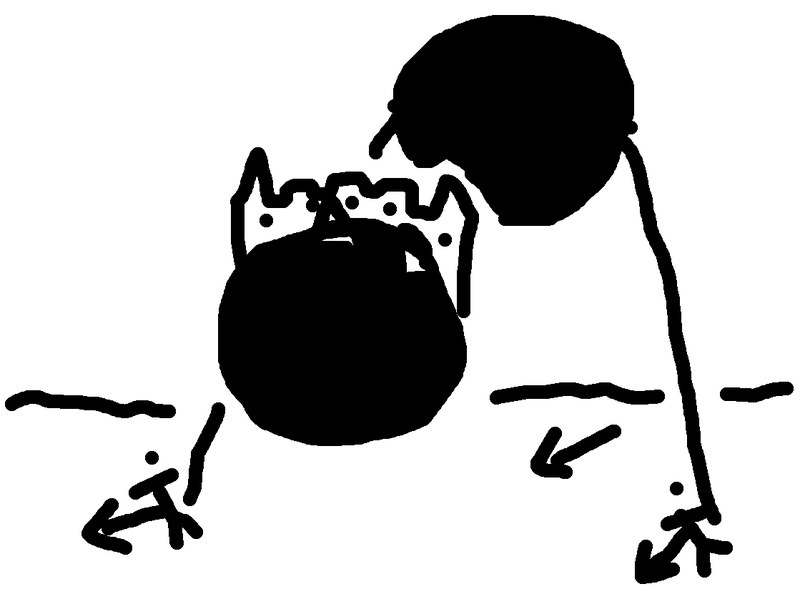 Now pull the additional chains with as large force as possible (possibly the chain has to go through some ring attached to the ground so that you pull parallel to the ground) to throw the rock down into the castle. It works as a huge hammer. Use a similar appliance for a rock but balance it so that you can put some troops on top of it. Now when the rock is pulled down and hits the castle your troops can jump down and attack the castle defenders. take flying rock as a base, fill it with stones and a small crew. Using chains control it so that the stone flies over the castle and drop stones you have. You can use other things, hot tar or boiling water for example. Since you have access to the chain base, you can use it to detach the castle. Since you don't want it to drift away, use other chains to control the castle so that rather it floating away it goes where you want to. You might need to do multiple re-chaining or something like that but it should be possible to move the castle anywhere you want. Pull the castle to the mountain, with a steep slope, that you can use to attack the castle. Pull the castle to the sea and attach it to the sea bed. Then sail away and wait one year until defenders starve/run out of supplies. Later just come back and collect what's left. We may not be able to control dragons, but locating a nice supply of food (i.e. castle full of people and their edible supplies) near their nest should drag them for a feast. They will do the conquer work for you. If something is up in the sky, it is vulnerable to smoke. Build large bonfires so that the smoke goes in the direction of the castle, add whatever you can to make it as smelly/poisonous as possible. You'll need to move your bonfires probably but just keep them in the smoke until the morale is so low they will beg you to allow them to surrender to you. I don't know how high can a flying rock fly. But if you can reach over 10k feet with it you end up with an oxygen deprivation. The higher the better. At 20k feet your defenders will soon die due to the thin air. Just make sure the additional chain you have to add is strong enough to pull the castle back to the ground once your defenders are done. If I'm not mistaken, "laying siege" to a castle or town means to cut off supplies into or out of the city until they ran out of supplies and surrendered to your men, and sieges could last for months. That crane you outlined seems like the perfect target to capture or destroy, which will cut off at least a large chunk (if not all) of the people's ability to get into or out of the castle. From that point, it's just a matter of shooting down, blocking off, or capturing any other means the castle has to supply itself and waiting them out. The besieging army could easily put up decent enough defenses against any expected underside attacks, and maybe take some potshots of their own at people inside the walls to decrease morale. The attacking army could even start trying to set fire to things inside the floating city via catapults or arrows shooting flaming shots, or whatever brand of fire magic you like; storehouses and homes would be good targets if one wanted to shorten that food supply and/or lower the morale of those inside. Medieval warfare is all about that morale management. If the chain is taut like a guitar string, all you have to do is play it. The vibration will drive the castle dwellers crazy, and might even cause property and biological damage. Every chamber in the castle will potentially act as a small resonance chamber as well. To play the chain, use it as target practice for trebuchets. Hit it once, and you've got it calibrated for the next strum. Use something softer than the chain's material as ammo in order to avoid damaging it (too much). If the rope is not taut, your engineers may find a way to yank it. Pull it taut and let go, and every castle dweller will become a reddish goo stuck to a wall. good answers above: starve them out, pull them down by the chain. You can also smoke them out by lighting enough fires upwind of the city. but that is all very mundane. One "epic" idea is to unbalance the city. 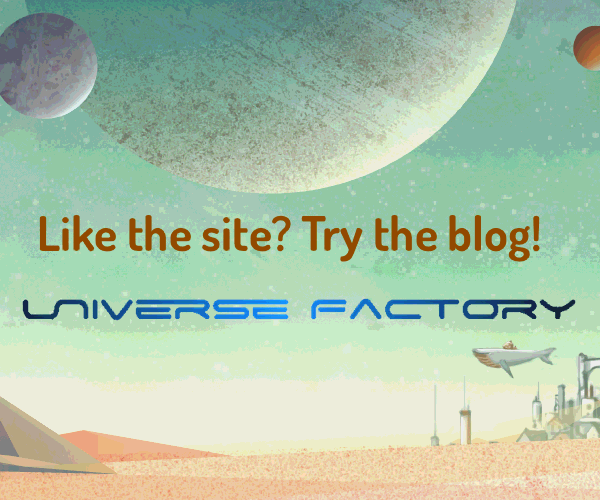 The wikia page you linked implies that the city is levitated by a single small rock at its center. So if throw enough rocks onto one side, or knock enough rocks down, you can tilt the city. Finally, same wikia page says that flightrock can be killed by a "stormphrax crystal". Hire some rogues, and task them with infiltrating the city (via grappling hooks), and install that crystal. Employ 3 groups of 10 horses to slowly move the rock until its bottom impacts the enemy rock's top. If the enemy start throwing stuff, use longer ropes. Slowly move it around, crushing all of the fortifications, and more if necessary, until surrender. No deaths on your side: Make the ropes a bit longer than the maximum reach of the enemy's weapons. Surgical: Just destroy the fortifications, not the UNESCO-classified library nor the unique-in-the-world jewelry workshop. Keep your reputation seat by not indistinctly killing or burning everyone including civilians. Cheap: Other methods require a lot of resources such as wood. Here you just need ropes (maybe chains) and 30 slow horses. Eco-friendly: No need to burn the wood from all forests around. Persuasive: Frighten enemies. Swords and arrows do nothing against a huge rock scrubbing your small territory at will. Seems like a simple blockade in a circle around the city would work fine. Maybe a trench and barricade going the full circle around to keep people out, and some archers to shoot at anyone attempting to lower themselves down during the duration of the siege. The blockade should be large enough to prevent fire from above reaching the ground units. Basically a donut shaped camp around the lift zone. In addition, you could design an oversized ballista to shoot projectiles into the city. I recommend using a hollow headed arrow that caries a biological agent such as rotting flesh into the city as a form of biological warfare. Bonus: If you find a smaller floating rock, you can drag it into the castle rock as a siege weapon, mostly hurting moral but potentially causing damage depending on how you use it. Double bonus: Has no one suggested climbing the chain? Send a single man up the chain on a dark night and have him instal some kind of eye for a rope or chain into the rock. You now have your own way of getting up to the fort. Slowly work your way to one of the access hatches and sneakily use it to ferry in soldiers. There are many ways of exploiting the chain, one even suggested spinning around its center by twisting the chain. However, I would suggest spinning around the chain base as more effective way. Get a few horses and have them pull the chain around its base, contrary to twisting the chain this would allow the inertia to gather over longer time. Given enough time the Centrifugal force would solve all your problems with any defenders. This also gives an easy way of demolishing the fortifications if you decided so, few hours after the defenders left the castle flying over the horizon the fortifications would follow. Your floating castle has a huge problem: it's foundations are completely exposed (assuming they've built to protect the rock that's keeping them in the air). Ground castles make good fortifications because the only thing an enemy can ideally strike at is the big thick stone walls you've built around it. The quickest way to end a a ground castle siege is to mine underneath the walls so that they lose structural strength and collapse either on their own or to your siege weapons (see the term undermine). All your attackers need to do is simply build a siege weapon that can reach the castle (cannonballs could go pretty far, as could trebuchets if you don't want black powder in your world) and start blasting chunks out of it's base. Your valiant defenders are soon going to realise that they have two choices: surrender and come down alive, or don't surrender and come down with the castle when it breaks apart. If the castle base is protected by the driftrock? Even better! Any mason will tell you that if you hit a rock enough times in the same place, it cracks, usually in half. The threat of either of these scenarios would be enough to force a surrender within a few weeks. If the driftrock obeys the rules outlined in the wiki you can start a huge fire and use the wind to channel the smoke to the flying castle. Once heat has brought the castle back to the ground you can attack them with conventional means. You could also do it the financial way. Take over all the big banks. Exaggerate/lie about the trade deficits between your countries and raise tariffs to emphasise your Ground Castles First foreign policy. Convince everyone else that castling the sky is a violation of international law and institute punitive sanctions. Make speeches denouncing the attack on freedom of travel implied by weaponising the sky and embargo them. Spread rumours about 'Skyxit' separatists to spook the markets. Any trick to devalue their currency should be used. Acquiring a monopoly in a key import or export works too. This way you don't even need to lay physical siege to them, you just need to deliver the message that their princesses will soon be maids and tavern wenches in some other country. Finally there's the CIA option. Forment unrest from within with saboteurs and agitators, throw your support behind the enemy leader's political rivals. Raise an army from within with the help of highly trained 'advisors' you'll have to put in place beforehand. When the coup is finally launched you should support it with a large conventional invasion. It's important to seize control of the cranes and the bottom hatches first so you can easily deliver reinforcements...of good will of course. After all, you only sent your army to liberate the oppressed people and restore the rule of law. Castles are military assets that play a role in the balance of power for a region. They are strong holds that allow a small army to cast a shadow of power over a larger region. When they come under siege by a larger force they must await for reinforcements. A floating castle becomes an asset you can move. Cut the chain and drag the castle out of that region and you've gained power and control over that region. You don't have to way siege upon the castle and try to out wait those inside. You're battle is one of time to move the castle before reinforcements arrive. People inside the castle would counter an attack by dropping anchors and trying to prevent their castling from being moved. So moving the castle would be the objective of the battles. One trying to pull it away and the other trying to keep it where it is. The point of sieges isn't to knock down the fortifications, it's to prevent supplies from entering the castle and forcing surrender before the population starves to death. Now if they have a year's worth of supplies that would make for a long siege, but it wouldn't be unheard of. Candia was sieged for 21 years. Also if the only way into the castle is with a giant crane, you probably don't even need that big of an army to maintain the siege, so even a multiyear siege may not be too bad. Assuming the castle didn't have any allies that could come to it's defense. What sort of governance does the current population of the ground kingdom have? Now assuming we are in some sort of socialist or spin of socialism (which I'm assuming we are as we're jealous of someone else's ability to form a floating city in a land supposedly devoid of any technology of notable merit, and want to take it away from them), or perhaps a very unjust king, then I would imagine it would be alright for the governance of said population to simply take things from its populace and justify it by some means. Therefore I'd like to suggest this government raid every farmstead and peasant run grazing land for all creatures of the bovine species; Oxen, Auroch (assuming we'd still have them), Buffalo etc. Once the countryside and all grazing land has been picked clean of all bovine creatures, we will distribute these cows to questionable market traders not under the banner of our united socialist republics and thus still in the ecstatic heights of capitalism, in all markets across the globe (assuming this is a globe and not flat, nor balanced upon the back of some sort of animal, or heaved upon the shoulder of a native deity). We will send our economical leaders (the ones we haven't killed in our quest for global socialist revolutionary supremacy, so I'm not assuming they'd be all that great really, however the large quantities of bovine creatures should make up for that) to negotiate with these market dealers, and ascertain absolutely ungodly amounts of magic beans. Under the cover of darkness, with the obscene numbers gathered in our revolutionary peasant war band, we will have them all smear themselves in black so they will remain unseen, and then we will plant the entire stock of magic beans around the floating castle. In the morning, when the denizens of the floating castle are yawning, they will see all beneath them devoid of life, they will assume our peasant revolt has dispersed, little to their knowledge that they now float upon a forest of giant beanstalks, with which our brave warband climbs to wreak socialist destruction upon the cloud bound citadel. Once we have shown the sky fortress the errors of its capitalist ways, we shall distribute the pulpy remains of the beanstalks to the people, and install our completely legitimate government upon the heavenly throne, cast the world off of the shoulders of the deity balancing it, and cast our own form of jealous judgement upon all creature and denizen of the known world from unseemly heights, whilst occasionally having to pop our ears and catch our breath adjusting to the new unbearable altitude. At 800ft up, the defenders can't really see what's going on. And their arrows are kind of useless. Longbows had a range of around 600 feet. The arrow still falls with gravity, but with only enough force to injure an unarmored opponent. Any attackers are going to have platforms held above their heads while they build fortifications. So the simplest answer is to build catapults, build shelters from above, then pull the castle down. Once the castle is pulled down, standard siege tactics work, my favorite, throwing dead animal heads and parts over the wall to spread disease. And the best part is you don't have to bring them all the way to the ground, leave them 50ft in the air, lob disease at them, then let go and let the castle rise back up 800ft. Now they are stuck with these dead heads, they can't escape, and you just made them all sick. Maybe your troops should shield themselves from the impending aerial diarrhea and dead bodies lobbed over their own walls at your troops below. Carve the floating rock(s) into masts of floating sailing ships, the amount,sizes and shapes of the sails would determine how fast, and the type of ship they are. Flying carpets for people as well as Djinn and Elementals. Not the answer you're looking for? Browse other questions tagged warfare architecture military flight military-defense or ask your own question. How would the existence of large rideable flying creatures have changed the design of castles? Assaulting a floating city: Two-Stage Ballista solution? How would the design of a habitable underground fortification differ to that of a castle? What would an avian “castle” look like? How can I encourage storming a castle to be more practical/safer/better rather than slowly sieging it down? How could flying soldiers influence medieval battle tactics? How does a castle have sufficient anti-air defenses while still looking like a castle? How useful is an impregnable castle? How can a religious order prepare their abbey for a siege?